This is Carol Deppe’s strain, selected over many years for the best flavor, a small seed cavity, and the ability to germinate in cold mud. It’s very vigorous – give it room – and each plant produces 3 or 4 fruits that can weigh in at over 20 lbs. One of the longest-storing winter squashes, at least 6 months. An Open Source Seed Initiative variety. Please note: price is slightly higher for this variety because seeds are big and bulky and require more intense packaging and higher postage costs. We really loved the fast n free shipping and information shared by the shipper. 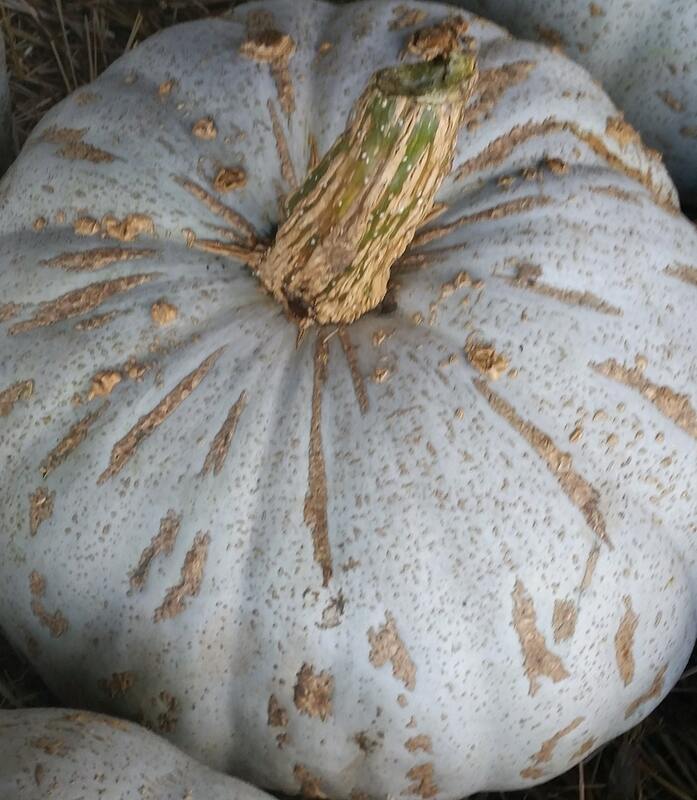 We're looking forward to this squash. But... of the 6 seeds we started, (indoors on warming pad at night and out in the sun daytime) only 2 plants have emerged. They look amazing and healthy. But 2 out of 6 isn't great. We've started 4 more seeds.... fingers crossed.